Johnny A Beauregard, 75, passed away Tuesday, October 23, 2018 in Anchorage, AK. Johnny was born in Huntsville, Alabama to Lena Floyd. Johnny was a friend to all. He made sure other's needs were met before his own. Johnny volunteered for the US Army during the Vietnam conflict. His passion was jumping out of helicopters and he was a master-marksman. Johnny retired from the US Army as member of the 5th group special forces located at Fort Brag, NC. He was 100% disabled veteran and very proud of his service to his country. Following his time in the US Army Johnny spent his last 30 years in Alaska. Johnny was a 32nd degree Mason and Shriner, member of the VFW, the American Legion, and the NRA. He was a member of the Yup'ik corporation. He enjoyed playing poker, pull tabs and bingo. Johnny is survived by his older Brother T.J Norwood, daughter Jennifer J Beauregard, son Scott Norris, daughter Chris tee Craghtten, four grandsons Johnny, Sean, Cody of Missouri, and Christopher of Florida. Johnny is preceded in death by his son Johnny Joe Beauregard. Last July, in the sun and heat of Memphis in the summer, I put on my winter clothes and showed up at the set of a Hallmark Christmas movie being filmed. They had decorated the set with artificial snow, even though Memphis has not had a white Christmas since the Eighties. I had applied for the job a week earlier and was selected as one of very many "extras" (we call ourselves "Background Talent") but was allowed to work only one day on the entire movie filming. I think Hallmark had promised to work a lot of local people so anyone who had previously been on film was not allowed to work on any other day. One of the conditions we had to agree to was to not post any photos or give away any information about the film until it was released - which happened last Saturday night. I was a special person because I also had a blue car and they were looking for people who drove any newer car that was not red, white, or black. So I got not only my $8.00 an hour for acting, but also an extra $10 for my car. After taxes my paycheck for eight hours at $8.00 an hour and 3.5 hours overtime at $12.00 an hour plus my $10 car extra came to $101.57. 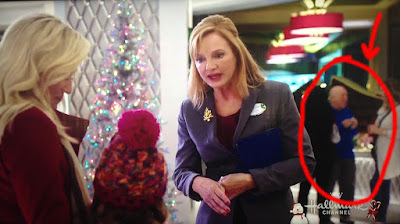 So, about 13 minutes into the movie, Kelli Pickler and a little girl are checking into The Guest House at Graceland and my (extremely blurred and out of focus) cameo roll appearance was in the background as she is talking to the hotel concierge. There are several shots in which I appear during their conversation but I am but a blur in a blue shirt in the background talking to some other guests. During one of the multiple shootings of the same scene (we did some about nine times) I dropped a piece of a candy cane I was eating and bent over and picked it up. After the scene was over the director came over and told me that if I dropped anything again, just to leave it on the floor, and not pick it up until after the shoot. I was sure that part would be left on the cutting room floor, but NO! they put it in. Then, in the next shot I am seen eating the candy cane (in a shot filmed much later) and it looks like I had picked it up from the floor and was eating it. At about 17 minutes into the show I get my next appearance, but this time my car is on camera and not my face. 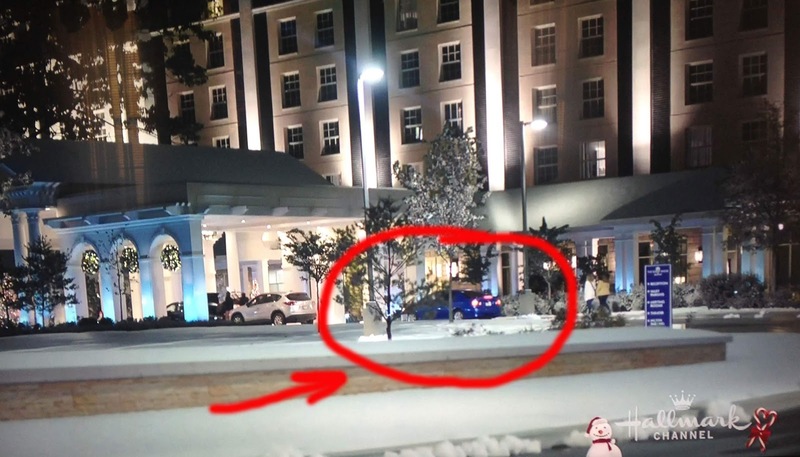 My blue car is shown driving up to the entry of the hotel. I drove up and backed up about six times in that shooting. A little while later I can see my car at the front door, but I really had to look and my head is just a few bright pixels in the shot. Now here's the real bragging part. Once again I got a paycheck from the casting company. This will mean that for the last three tax returns, the only W2 Form submitted for earned wages during the year will be for acting. It started with "Sun Studios," the "Brian Banks" (yet to be released), and now "Christmas at Graceland." In case you missed seeing me and want to watch or record my performance , here is a scheduled of the next showings of "Christmas at Graceland" on the Hallmark channel, as part of their Christmas movies marathon. Memphis, TN - I got some photos sent to me about a bunch of Lee classmates attending a show featuring Jim McBride at Flor-a-Bama, but I will wait until next week to share them, since I am still working on the identity of those who attended. I salute you for all the hard work that you always put into each issue of the Traveller. 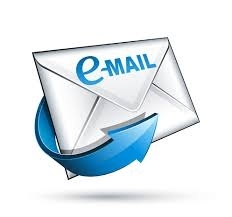 I look forward each week to receiving it. Please know there are many that feel as I do. Thank you for the tribute. Alan Hammick was in the Naval Reserve with me. Plus his mother was angry with me for talking him into joining. Also, Mike Schmitt was in the Navy, maybe submarine service? Both were ’64 grads. Back in the early 70’s while I was still at UAH and before moving to Knoxville, one of the guys from ’64 crossed paths with me and said he wished he had followed my lead joining the Naval Reserve, March, ’63. He had waited until drafted and remarked he had no choice in anything! But he had survived. Some of the guys made fun of me saying they’ll send you to Vietnam. My answer was that I wanted to joined and was willing to do whatever they wanted. Second semester of our Junior year. That summer I went to the Great Lakes Naval Training Center, North Chicago, for the entire full length boot camp. Always hoped for an officer status but it wasn’t to be. The most opportune time to go to OCS I was already working as an electrical engineer for the TVA in their Nuclear Power build-up. No way was I going to let go of what I had and go off on a jaunt to become a LTJG. Had already made First Class Petty Officer which is where I retired but it was a fit when I went aboard ship for my two weeks training. Enjoyed a lot of that association, maybe not all of it but I have 24 years total. I don’t know who arrived in Vietnam the earliest, but we pulled into the anchorage at Vung Tau, mid January, 1966, just above the mouth of the Saigon River where the smaller cargo vessels are waiting to go up to unload or waiting to pickup a load. Then we moved north. Tin Can, USS Carpenter, DD825. Thankfully the war was in-country which we supported with some shore activity with our one twin gun mount, but the rest of the time was supporting the carrier USS Ranger in ASW and SAR. Of 4 downed aircraft we found one pilot and later the fuel slick and debris from another plane but nothing relating to the pilot(s). Never found anything on the other two. Wikipedia has the Carpenter history. We did go out to the Parcel Islands to show our flag to the Chinese possession and ducked into Haiphong Harbor, North Vietnam, one very dark night. It was an open seaport but they had three patrol boats follow us back out to the territorial limit , 3 miles(? ), very tense moments. One interesting element was when we pulled into Subic Bay PI, for a little R&R, one of my Navy school buddies had been assigned to the USS Maddox. We crossed paths and I got to tour the Maddox. It and the Turner Joy were the two ships which were the basis for the kickoff of the Vietnam War, August,1964.